Will you achieve what you want in 2016? NOW is the perfect time to reflect, and allow yourself to THINK. Once you begin to think, you can expand your thought process into how to make your thinking a reality. Think about your past successes – they’ll make you smile, and feel good about yourself. Next, think about the things you thought you would achieve, but did not. Try to figure out the reasons those things did not happen. There is a big difference between reasons and excuses – make sure you focus on the real reasons. Your success in 2016 (both personally and professionally) is really your choice. You control your thoughts and expectations. This in turn puts you in control of the actions that will advance your achievement. So the big question is: do your thoughts begin on a positive note – or a negative one? Positive thoughts produce creativity. Negative thoughts produce barriers. There is much to be said for “going to your happy place.” Then you can literally start thinking and enjoy the power of daydreaming. In our Essential Selling Skills program, we study how John Patterson (founder of NCR) incorporated the word “think” in business. His fired employee, Thomas Watson – who founded IBM, originally propelled it to prominence. The process of thinking is at the core of your ability to succeed. Moreover, it’s easy to begin, as long as you’re willing to set aside time to do it. In many other companies, it is taboo – you do not want to be caught thinking because it looks like you are wasting time. What a foolish value. Try this for starters. Take out your calendar and begin to enter 15-minute appointments with yourself. I suggest starting with three appointment per week. When the meeting time arrives, take out your notepad or laptop and begin to jot down your thoughts about problems or opportunities. 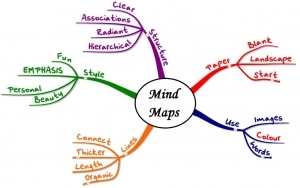 Use mind-maps – it will tap the creative (right) side of your brain. Now watch what happens when you do other things that don’t require thinking: taking a walk, taking a bath, exercising, having coffee. It’s amazing how ideas will pop into your head. When your mind is free, the thoughts that you put in your head during your “think time” will turn into ideas and answers. The next step is to make sure you capture the ideas and answers in writing as soon as you have them. This way you will not forget and you can turn the ideas into actions that will lead you to success. Put a value on your learning and innovation. Your customers do, both internal and external. Plan for some think time and have a successful 2016.